Marina Rodrigues Lima Faculty of Medicine, University Center UNINTA, Sobral, Ceará, Brazil. Maycon Fellipe da Ponte Internal Medicine Department, Hospital Regional Norte (HRN), Sobral, Ceará, Brazil. Luís Edmundo Teixeira de Arruda Furtado Internal Medicine Department, Hospital Regional Norte (HRN), Sobral, Ceará, Brazil. Natalizumab is indicated as monotherapy for the treatment of relapsing-remitting multiple sclerosis; it prevents outbreaks and delays the progression of physical disability. Here, we report the case of a 30-year-old patient with multiple sclerosis receiving natalizumab as monotherapy who subsequently developed self-limited cytomegalovirus disease. Cytomegalovirus infection has been reported during treatment with natalizumab, and in this study, we use new techniques to analyze the possible association of cytomegalovirus infection with natalizumab. Taylor GH. Cytomegalovirus. Am Fam Phys2003;67:519–524. Crough T, Khanna R. Immunobiology of human cytomegalovirus: from bench to bedside. Clin Microbiol Rev 2009;22:76–98. Kano Y, Shiohara T. Current understanding of cytomegalovirus infection in immunocompetent individuals. J Dermatol Sci 2000;22:196–204. Rafailidis PI, Mourtzoukou EG, Varbobitis IC, Falagas ME. Severe cytomegalovirus infection in apparently immunocompetent patients: a systematic review. Virol J 2008;5:47. Gandhi MK, Khanna R. Human cytomegalovirus: clinical aspects, immuneregulation, and emerging treatments. Lancet Infect Dis 2004;4:725–738. Polman CH, O'Connor PW, Havrdova E, et al. A randomized, placebo-controlled trial of natalizumab for relapsing multiple sclerosis. N Engl J Med 2006;354:899–910. Warnke C, Olsson T, Hartung HP. PML: the dark side of immunotherapy in multiple sclerosis. Trends Pharmacol Sci 2015;36:799–801. Gold R, Jawad A, Miller DH, et al. Expert opinion: guidelines for the use of natalizumab in multiple sclerosis patients previously treated with immunomodulating therapies. J Neuroimmunol 2007;187:156–158. Fernandez O. Best practice in the use of natalizumab in multiple sclerosis. Ther Adv Neurol Disord 2013;6:69–79. Fine AJ, Sorbello A, Kortepeter C, Scarazzini L. Central nervous system herpes simplex and varicella zoster virus infections in natalizumab-treated patients. Clin Infect Dis 2013;57:849–852. Crespo P, Dias N, Marques N, Saraiva da Cunha J. Gastritis as a manifestation of primary CMV infection in an immunocompetent host. BMJ Case Rep 2015;2015.pii:bcr2014206991. Epstein DJ, Dunn J, Deresinski S. Infectious complications of multiple sclerosis therapies: implications for screening, prophylaxis, and management. Open Forum Infect Dis 018;5(8):ofy174. 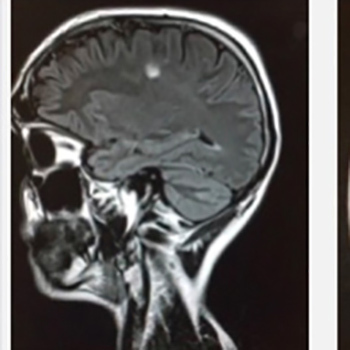 Clerico M, De Mercanti S, Artusi CA, Durelli L, Naismith R. Active CMV infection in two patients with multiple sclerosis treated with alemtuzumab. Multiple Sclerosis J2017;23:874–876. Goodgame RW. Gastrointestinal cytomegalovirus disease. Ann Intern Med 1993;119:924–935.